Bronze AE3, 19mm, 3.08gm, issued AD 329/330. 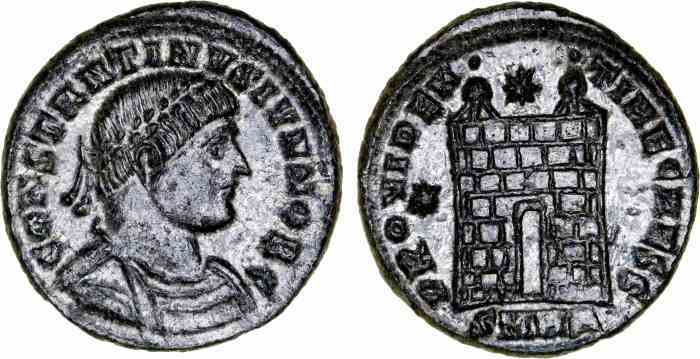 Heraclea mint. Obv: CONSTANTINVS IVN NOB C, Diademed, draped and cuirassed bust facing right. Rev: PROVIDENTIAE CAESS (SMHA in ex. ), Camp gate with two turrets. Star above and star in left field. References: Sear 17242, RIC 107.